So, your little guy has started talking but you’ve noticed that he’s not using complete sentences to convey his thoughts. For instance, he will combine two words together like “baby cry” or “mommy cook”, but not produce grammatically correct sentences like “The baby is crying” or “Mommy is cooking”. What should you do? 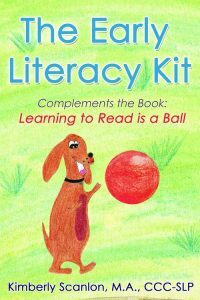 Use expansions and extensions to improve your child’s language. Speech language pathologists routinely use these techniques during therapy sessions. Expansions and extensions work best with children who are talking and already using two or three word combinations. Expansions are comments that add semantic and syntactic details to incomplete phrases. It means that you are making an incomplete phrase more appropriate and accurate by putting it into context and adding in missing words. Your child puts a cow figurine into a barn and says “cow house” or “cow barn”. As you see, you are taking words that the child has said (cow/house/ barn) to form a grammatically correct sentence. By expanding your child’s comments, you help to clarify his or her intentions. For instance, if Aunt Molly heard Patrick say “cow house” but did not see him put the cow into the house, it cannot be assumed that Aunt Molly would know exactly what Patrick meant. Therefore, by expanding Patrick’s utterance, you help clarify his intent. 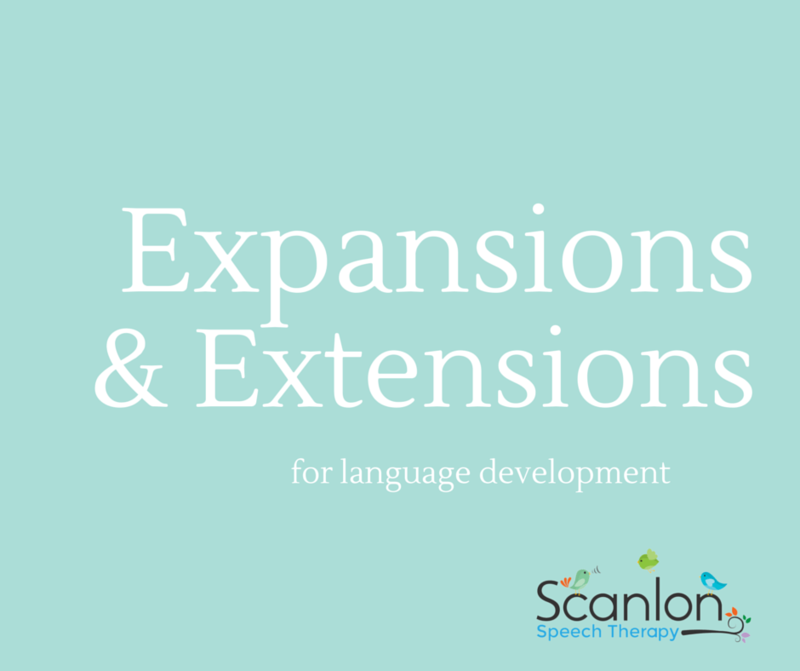 Extensions take expansions a step further by adding more information to your child’s utterance. The child is pointing to a baby and saying “baby cry”. “Yes, the baby is sad.” Or, “Yes, the baby has a boo boo”. In this example, the extension helped to explain why the baby was crying. 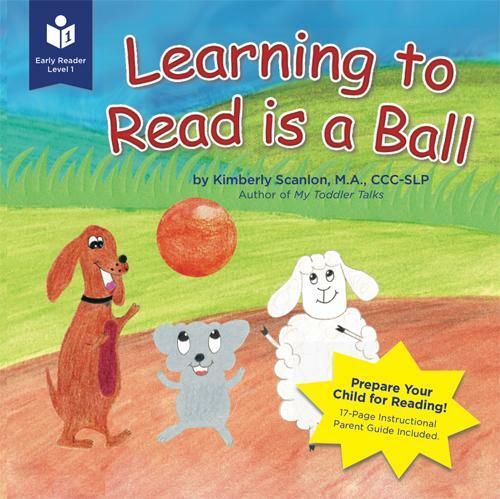 Children enjoy when their phrases are extended because it lets them know that adults like to converse with them. They feel that the adult listened to them. Why should you use expansions and extensions? Expanding and extending the child’s utterances increases the likelihood that he will spontaneously imitate your sentence or at least part of it. So, let your child spontaneously try to repeat you. Last but certainly not least, avoid over-using these techniques as too much use can take away from the natural flow of conversation. Remember keep it natural and have fun! I hope you find these two techniques helpful! 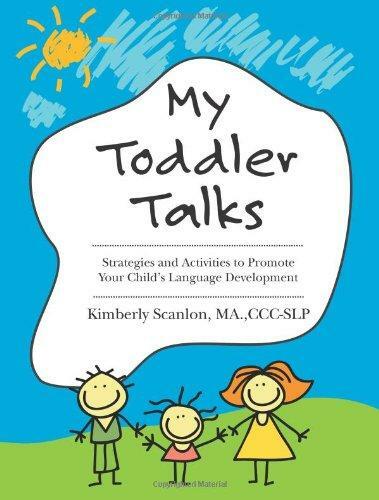 and visit my website My Toddler Talks for more toddler language development strategies. Paul, R., & Elwood, T.J., (1991). 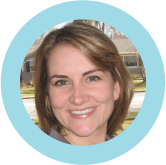 Maternal linguistic input to toddlers with slow expressive language development. Journal of Speech and Hearing Research, 34 (5), 982-8.